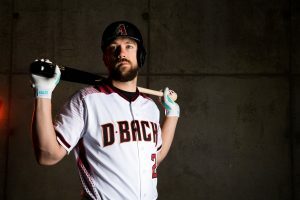 Baseball season is now in full swing, including for our Arizona Diamondbacks. The players are hitting the field and for many of them, it means taking time away from their families. 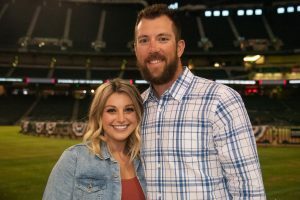 Right Fielder, Steven Souza Jr. is among those players who have a wife and child watching from the stands. This season however, will be a little different after a season-ending injury in an exhibition game right before the regular season. Souza Jr. will now face a different battle off the field- one of recovery and rehabilitation. Souza Jr., who has only been in Arizona for a little while, says he and his family have been enjoying all the Grand Canyon State has to offer. “We love the food here, we love the people here, and we’ve just adjusted really well.” Souza Jr. adds that the warmer winter months have also been a nice treat, being able to jump in a pool, and play around outside as a family. spend a lot of time together as a family, celebrating and enjoying all the valley has to offer. “We take our son to the Splash at Kierland Commons a lot, he loves it. Anywhere we can get in the water, like the Lazy River at the Westin Kierland, another one of our favorites.” Other than spending time at water areas, the Souza family also just likes spending time around their home, playing and just enjoying each others company. Souza Jr. will miss this season with the Diamondbacks after tearing the ACL, LCL, PCL and posterior lateral capsule in his left knee. He will spend time recovering from surgery and rehabilitating to get ready for next season. He will be able to do this all at his valley home, thanks to the support and love from his friends and family.